Whitney Sawmills, in Herefordshire, is a highly respected business established by local craftsman, Will Bullough in the early 1990s. At this time, Will had become increasingly frustrated with the quality of the timber available to him so he decided to try milling and drying his own materials at Whitney Sawmills. Today, Whitney Sawmills is a UK-wide supplier of timber to businesses of all sizes, from the grand Dumfries House project in Scotland to one-man boat builders in Cornwall. Over the years the mill has supplied many exciting prestige projects such as fine Oak for the King’s Dining Room in Edinburgh Castle, or Sweet Chestnut for the royal row barge, Gloriana. More recent projects include milling Oak and Elm for the restoration of HMS Victory and, more locally, the rebuilding of Grade 1 listed Llwyn Celyn just over the border in Wales. As well as supplying the varied demands of its customers, Whitney Sawmills also helps to keep rural employment and skills alive. Whitney Sawmills isn’t just a supplier; it is also a customer, buying timber from local landowners and helping to secure the jobs that they in turn offer. 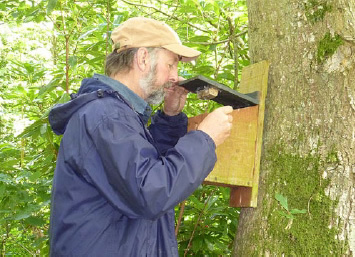 It has also always been a priority at Whitney to aim to benefit native woodland wildlife wherever possible, as so often it is lack of woodland management that is creating the greatest threats to many endangered species. 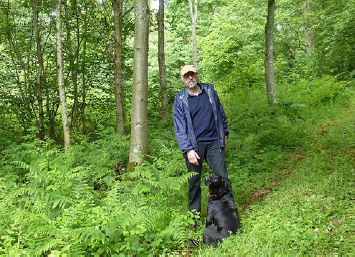 Seeing so many of its own objectives mirrored in practice at Whitney, the UK charity, Woodland Heritage, became the owner of the sawmill in 2016. Whitney Sawmills has always supplied both UK and European hardwood and softwood timbers. 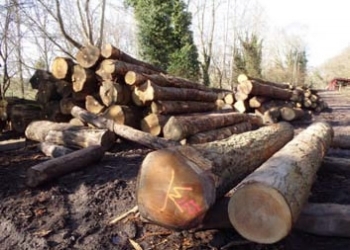 With Woodland Heritage’s aim being to increase the proportion of native timber sourced from the UK, especially from the West Midlands and Wales we will continue to increase the amount of timber we source from this country. After a decade of collaboration with Woodland Heritage in delivering its ‘Woodland to Workshop’ courses, Whitney Sawmills was acquired by the Charity in 2016. Being at the centre of the timber supply chain, Woodland Heritage believes that sawmills and the skills required to work them are a crucial part of the British timber industry and, with the right approach, a healthy future exists for those that remain; something that it wanted to demonstrate by taking over Whitney Sawmills. Since spring 2008, Whitney Sawmills has been working with Woodland Heritage and the Duchy of Cornwall to produce a three-day course entitled From Woodland To Workshop. Based in the sawmill, the workshop and Herefordshire woodlands, and supported by evening lectures, the course links tree growers with other wood trades and users, introducing participants to the entire process of the timber industry, from forestry management through sawmilling and timber drying to the end user in the workshop. With a strong emphasis on the practical, and particularly suitable for those with some prior knowledge of the timber industry, these courses are the first of their kind in the country and concentrates on ‘learning by doing’. Whitney Sawmills is a supplier of British timber and its key policy is the continuation of the UK’s traditions of sustainable timber supplies and woodland management. Whitney Sawmills is committed to replanting trees as they are felled. In addition, Will Bullough has himself planted a sixty-acre wood of mixed native hardwood at the Whitney site. The ecology of our woodlands has, over thousands of years, adapted to man’s harvesting cycle. Many of the key woodland species of plants and trees cannot germinate or survive without the extra sunlight that penetrates to ground level when a tree is felled, and numerous species of woodland animal rely on the presence of these plants. Of increasing importance, atmospheric carbon dioxide is absorbed by the growing tree and sequestered in the wood it creates. When the tree is felled, the carbon remains locked in that timber, often for hundreds of years – providing a vital service to combat the build-up of greenhouse gases. The deep soils of Herefordshire have long been recognised as providing exceptional conditions for growing quality hardwoods and British oak trees. Our UK timber is largely sourced from the extensive local woodlands belonging to the Duchy of Cornwall. We are able to source European Oak which we can supply at very affordable costs throughout Hereford, Worcester & Shrewsbury.